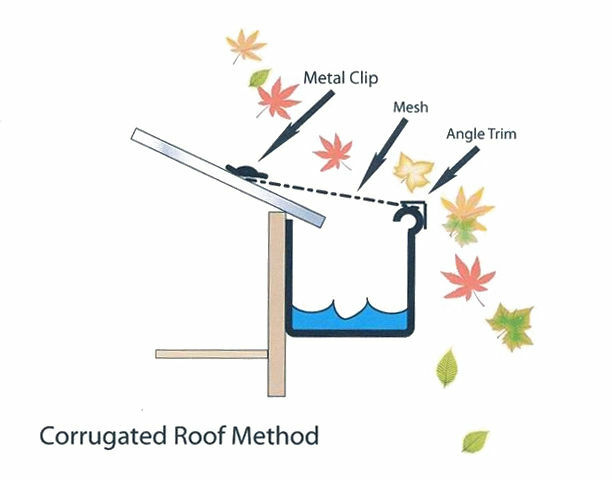 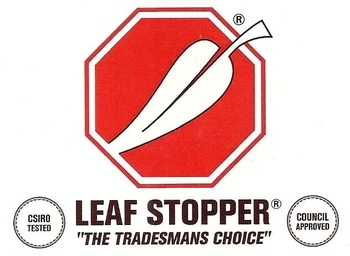 The ski slope method of installing leaf protection ensures that leaves and other matter including birds and vermin are prevented from building up on or in the roof. 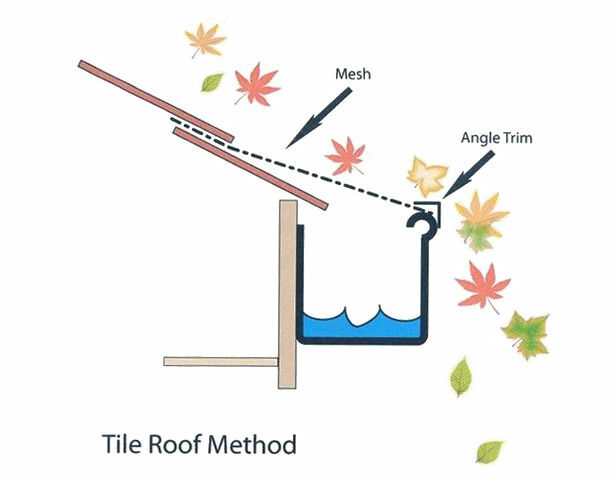 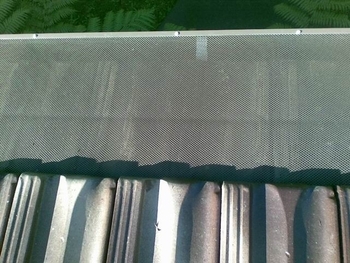 Leaves are then either washed or blown across the gutter guard and off the roof allowing water to travel into the gutters and downpipes freely. 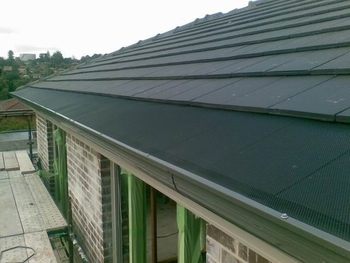 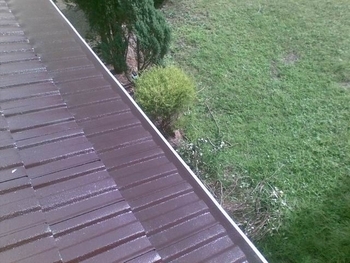 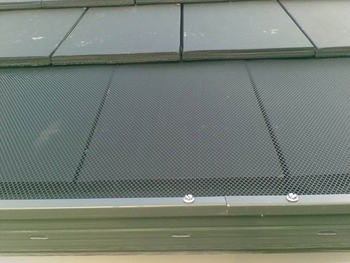 The leaf guard is fixed to the gutters edge with a 90 degree angle colorbond trim using zincalume screws then covering the first tile it tucks under the second tile forming the 'Ski Slope' effect. 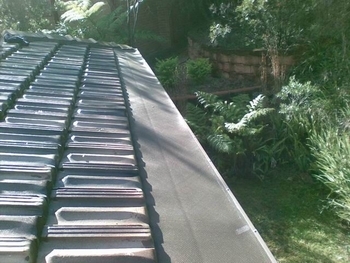 Some other products on the market only fit into the gutter which allows leaves to sit on top of the guard which restricts water flowing into the gutters, thus creating a waterfall over the top and floods anything beneath. 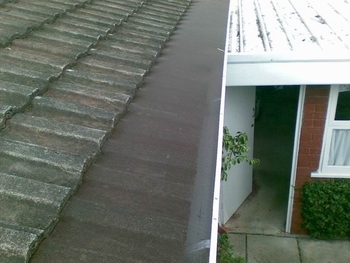 Tile - Fixed to front of gutter and under second tile. 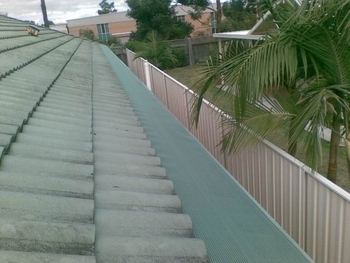 Corrugated - Fixed to gutter and fitted to roof with colorbond saddles.